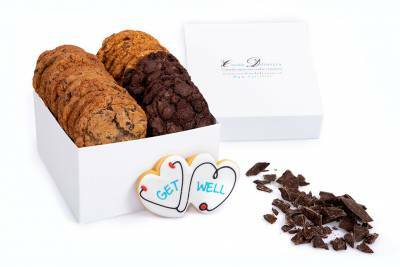 Wish someone to "get well" soon with this gourmet cookie gift box. When someone is feeling "under the weather" or has had a challenging time, receiving this sweet gift can really make a difference. In this gift box we have included a sugar cookie with the words "Get Well" along with different varieties of our gourmet cookies. Simply pick the quantity of cookies from our pre-selected mix of delicious chocolate chip, chocolate fudge, oatmeal raisin cookies in the form below. 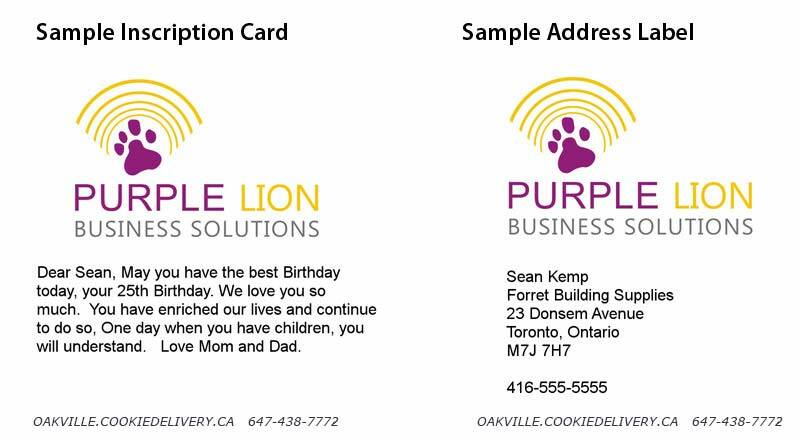 Order a get well gift box to someone special in Oakville today.